MARQUETTE — It’s no secret that energy costs in the Upper Peninsula can be expensive, especially in the winter. The Superior Watershed Partnership Michigan Energy Assistance Program is offering support for low-income U.P. residents during the crisis season (October 1st-September 30th, 2018) or until funds are depleted. Residents can apply for energy assistance at several St. Vincent de Paul locations across the U.P., and it may be required for them to attend an energy conservation workshop. At the workshop, energy assistance clients will receive Energy Efficiency Kits, filled with items that help with home energy conservation. 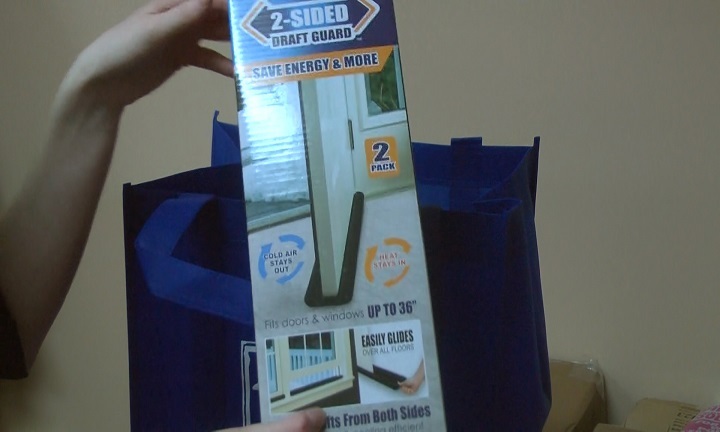 The kits include pipe insulation, caulk, light switch and outlet sealers and draft stoppers for under the doors. “Through the class, they learn a lot about energy conservation, but also, any energy that you don’t use is energy that you don’t have to pay for, so we really want to educate people on lowering their energy costs for in their home,” said Elizabeth Dow, a conservation educator with the Superior Watershed Partnership. As of today, 107 families have gone through the workshop and have received Energy Efficiency Kits. Following the workshop, families are also able to sign up for a home energy assessment and receive an additional $100 worth of insulation items. For more information on energy conservation and assistance through the Superior Watershed Partnership Michigan Energy Assistance Program, click HERE.